One of the persistent enemies of a beautiful garden is the weed. And why not? Weeds compete with the plants for water, sunlight, and soil nutrients. Every gardener or property owner with a garden will definitely tell you that weeds are on top of their list of invaders. They probably spend the largest portion of their time and energy controlling weeds and any plant that is growing where it is not wanted. How should you control weeds? When weeds have already started getting into your garden, the best way to fight them is by implementing an “early attacks” technique. Scrape the weeds using a hoe. 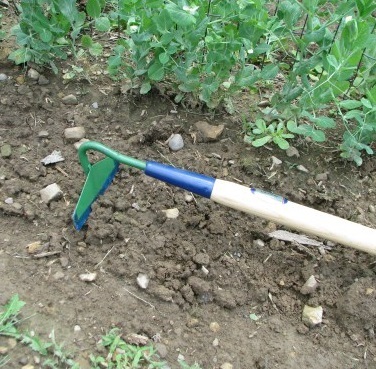 Use a hula hoe to scrape the weeds out of the ground before they flower and drop seeds. A hula hoe is also called a stirrup hoe, oscillating hoe or scuffle hoe. It is by far the most efficient tool for the job, with its blade cutting through the weed roots without displacing or harming the soil. Just make sure you use it when the soil is dry. Do not hoe your garden when the soil is wet because doing so will change the structure of the soil and will cause large clumps and cracks to form. When there are only a few of those unwanted plants, simple hand pulling is best way. You may use a hand weeder particularly when dealing with small garden areas. 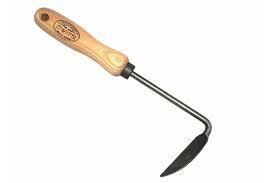 Hand weeders are like miniature hoes and they make quick work of weeds. Use special weeders for deep-rooted weeds. When there are deep-rooted weeds, you must use special weeders. These forked tools reach deep into the soil below the long roots and lift out the weed completely. Depending on the kind of weeds you need to remove, it is crucial to ensure that not one piece of the root is left in the soil. Implement a special mulching technique. For one, weeds will not have a chance to seed and grow if the ground is covered with mulch. You may even plant a “living mulch” of low-growing creepers, like what some gardeners do. This includes thyme, chamomile, isotoma, and other spreading plants that effectively discourage weeds. When dealing with a large garden area, the best technique to implement is to let the weeds grow for one week then starve them to death through a special mulching technique. Moisten the soil. Cover the soil and weeds with thick sheets of newspaper — thick enough to keep the sunlight away but also allow air to reach the soil. On top of the newspaper, lay any kind of organic mulch, at least 100mm thick. Leave untouched for 3 to 6 months to make sure no seeds will survive and take on a new life.